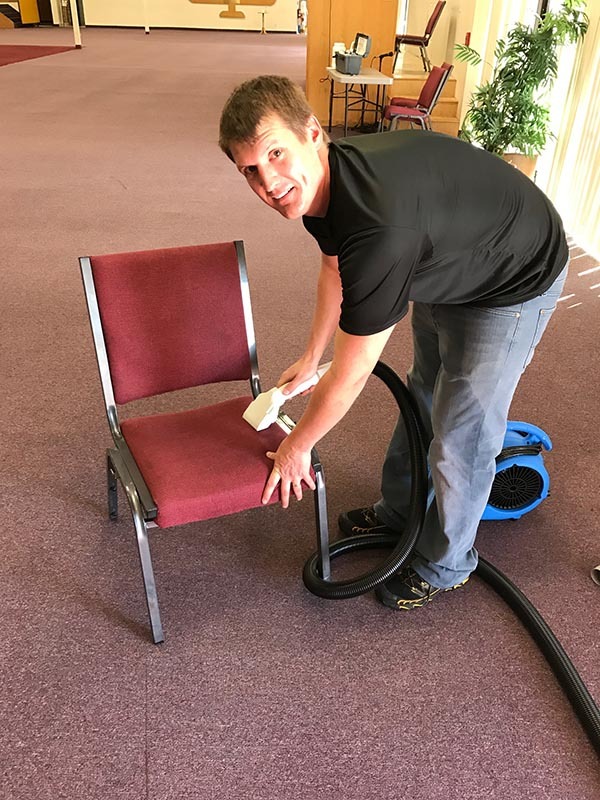 MSS Cleaning is one of Denver’s top commercial upholstery cleaners. Most commercial spaces have upholstery that needs professional cleaning. Restaurants, offices, churches and everything in between. Over time, commercial upholstery gets dirty. People spill coffee or food. Or they grind dirt and oil onto the material. Restaurant upholstery, too, gets dirty and grimy from food spills. 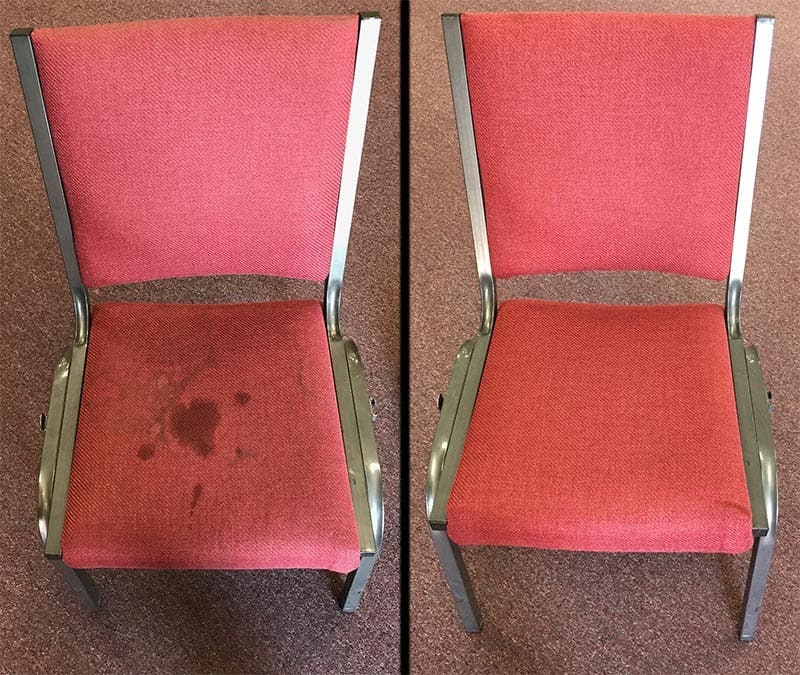 Because of this, you need MSS Cleaning’s commercial upholstery cleaning services. MSS Cleaning provides professional commercial upholstery cleaning for all kinds of items. Whether you need us to clean office chairs, couches, booths/booth backs, or even cubicle walls. We use top of the line truck mounted equipment and professional upholstery attachments. As a result of using the best equipment, your commercial upholstery is left cleaned and looking great. Also, our upholstery steam cleaning system provides a superior clean compared to inferior equipment. In addition to a visual improvement, occasional cleanings increase the longevity of your investments. Which leads to less frequently needing to replace your upholstery. Our technicians clean almost any kind of fabric, including microfiber. We use state of the art Drimaster tools. These assist us in providing safe, gentle, yet highly effective upholstery cleaning solutions. These tools safely provide commercial upholstery cleaning without over-wetting the fabric. This also leads to faster dry times. First, each area to be cleaned is pre-sprayed with a cleaning and degreasing pre-spray. Next, the fabric is gently agitated to help release soils. Once that’s done, we use the Drimaster upholstery tools. These rinse, neutralize and extract the solution. They also, of course, extract the dirt and grime from your commercial upholstery. Call us today about professional commercial upholstery cleaning in Denver or the surrounding area. We too are your local Denver commercial upholstery cleaners. We strive to provide the absolute highest quality commercial upholstery cleaning services in town. MSS Cleaning is your one call fix for your office cleaning needs. Not only are we professional office carpet cleaners and tile cleaners. We are also the best office upholstery cleaners around. Cubicle walls get dirty or spilled on. Conference room chairs end up with coffee and food stains. Couches and chairs in your waiting room get spilled on by nervous interviewees who drop their soda from their jittery hands. We get it, and we can help. Let our expert technicians and professional upholstery cleaning tools go to work for you. Our commercial upholstery cleaners will get your furniture looking like new. In addition to the many restaurants we clean carpets for, we are also professional restaurant upholstery cleaners. We provide restaurant upholstery cleaning all across the Greater Denver Area. Booth backs get greasy with food and hand prints. They also get dirty from food spills. In addition, couches and other furniture also take a beating. 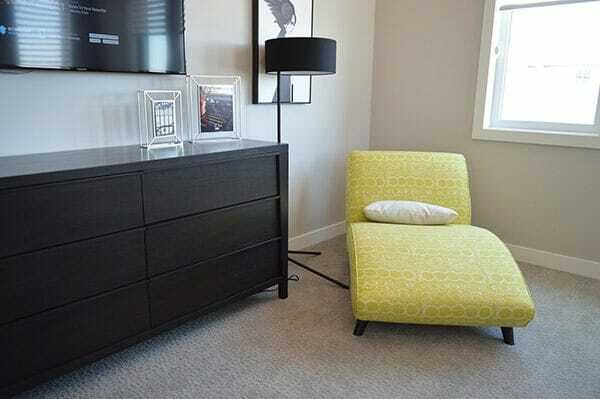 MSS Cleaning provides stand-alone upholstery cleaning services. However, if you like, we combine can upholstery cleaning with restaurant carpet cleaning or other services. Don’t worry, we’ve got your back. When you need a commercial upholstery cleaner in Denver or the surrounding area, we’re the team to call. We look forward to working with you on your upholstery cleaning project.